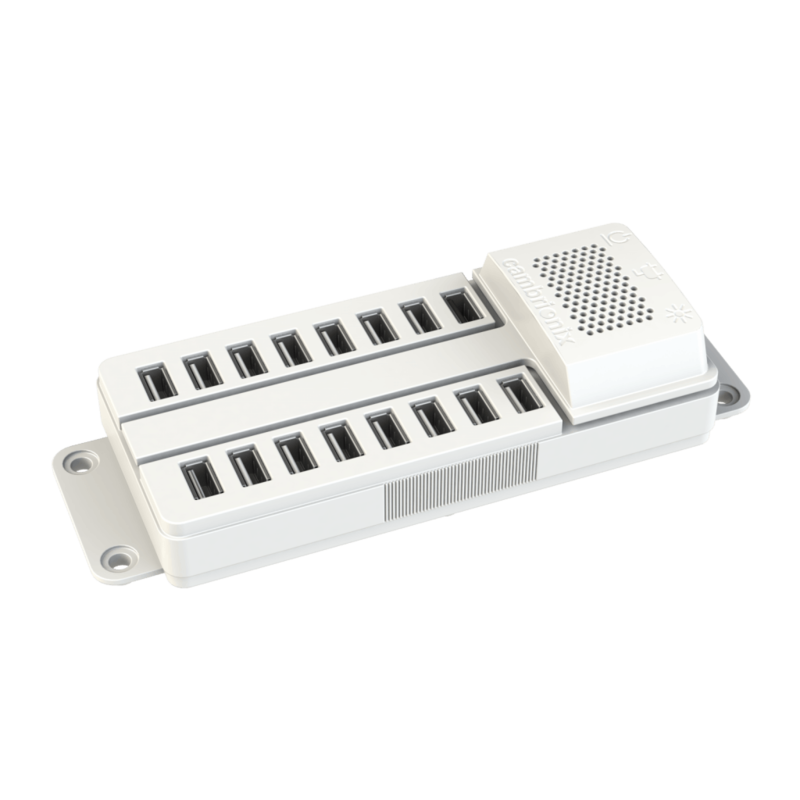 16 port Apple only USB charger. Deliver full rate charge for up to 16 iPads, iPad minis, iPods, iPod Touch or any other Apple USB chargeable device with the PowerPad 16. 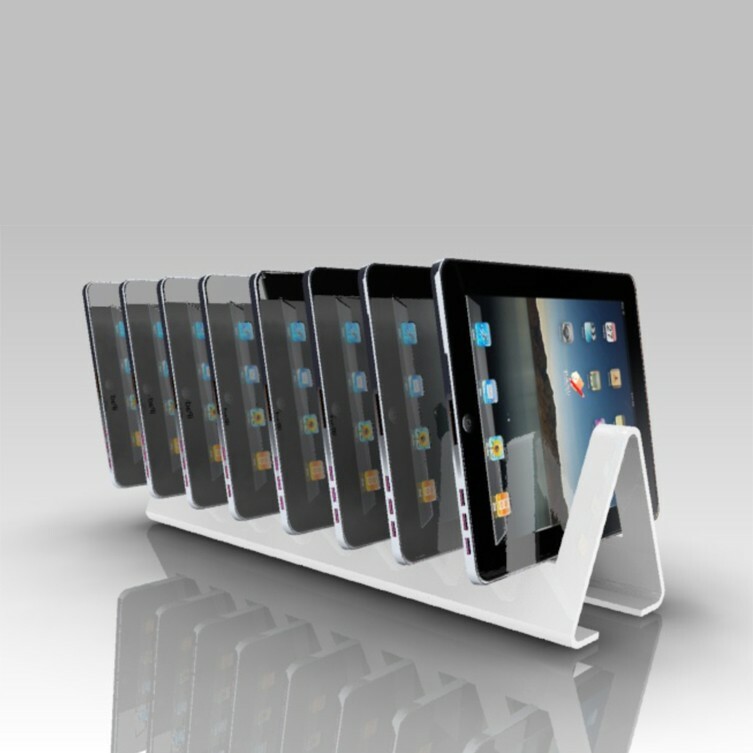 Charges up to 16 Apple devices at their full rates of charge. The PP16 recognises which device is plugged in and delivers the correct amount of charge to the device. Number of Ports: 16 Ports. 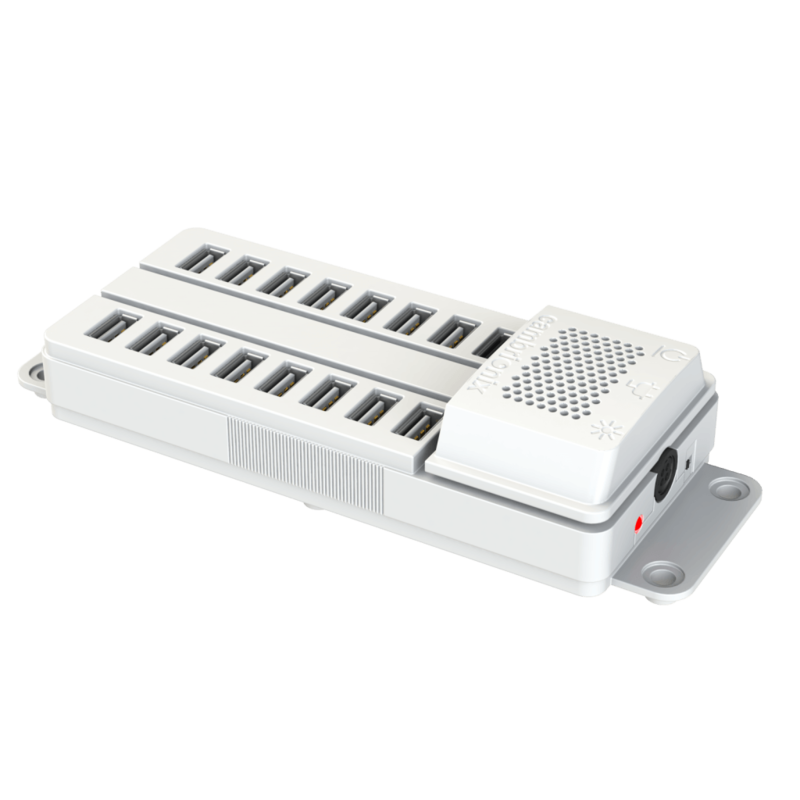 The PowerPad16 is compact, light, and easy to use and replaces the many bulky power strips and the AC adapter bricks usually supplied with devices. Easy to mount on a wall or under a desk, the PowerPad16 is an invaluable space and time saver. 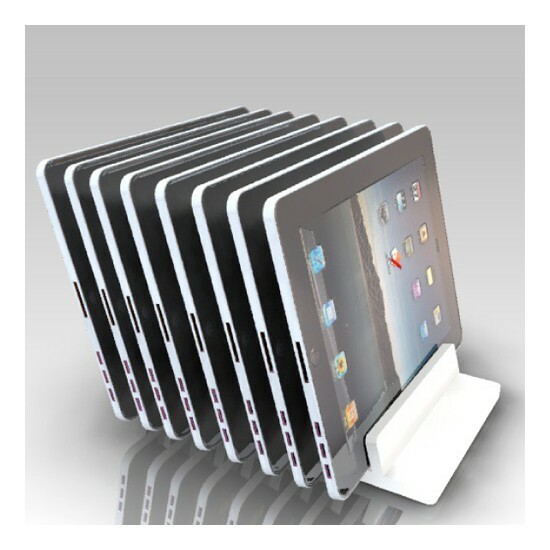 The PowerPad16 is light weight and can be mounted with screw fittings and comes complete with transformer.